Editors Note: This was originally posted in 2011. One year ago, LxL brought you our top ten albums of autumn, which we posted again this morning because we still feel it is a very strong list. Never ones to sit on our laurels though, we thought we could tackle the best songs of autumn, which is a much more convoluted conversation. Do we insist the song make mention to falling leaves, postseason baseball, or pumpkin patches? Do we go by feeling? We did exactly what we always do, which is whatever the hell we want. 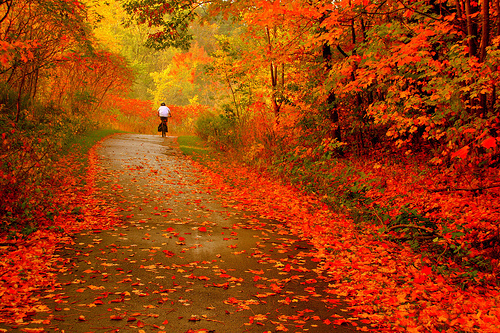 Fall brings about a lot of different emotions, memories, and feelings for everyone. For Todd, Wes, and I, autumn is probably most closely tied to our rural Indiana upbringing, where hooded sweatshirts, Friday night football games, bonfires on the peninsula, and homecoming were the most important thing in our lives for years. Luckily our horizons have expanded, but that in no way taints the memories of humble beginnings. We are and will always be Midwesterners at heart, and these are a few of the songs that take us back to those glorious days. Enjoy our top ten songs of autumn, and as always remind us what we missed or errantly included.